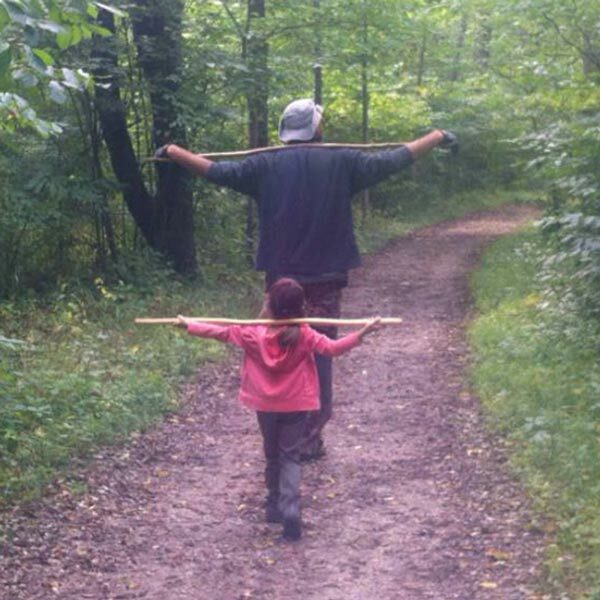 & the words- Morel Mushroom Hunting. 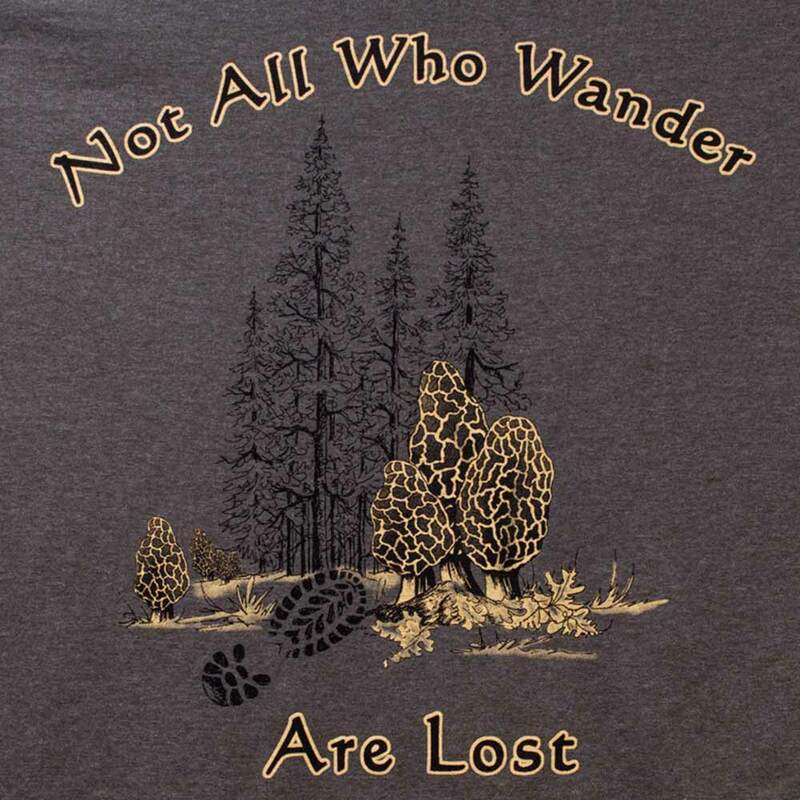 Unique hand drawn designs. 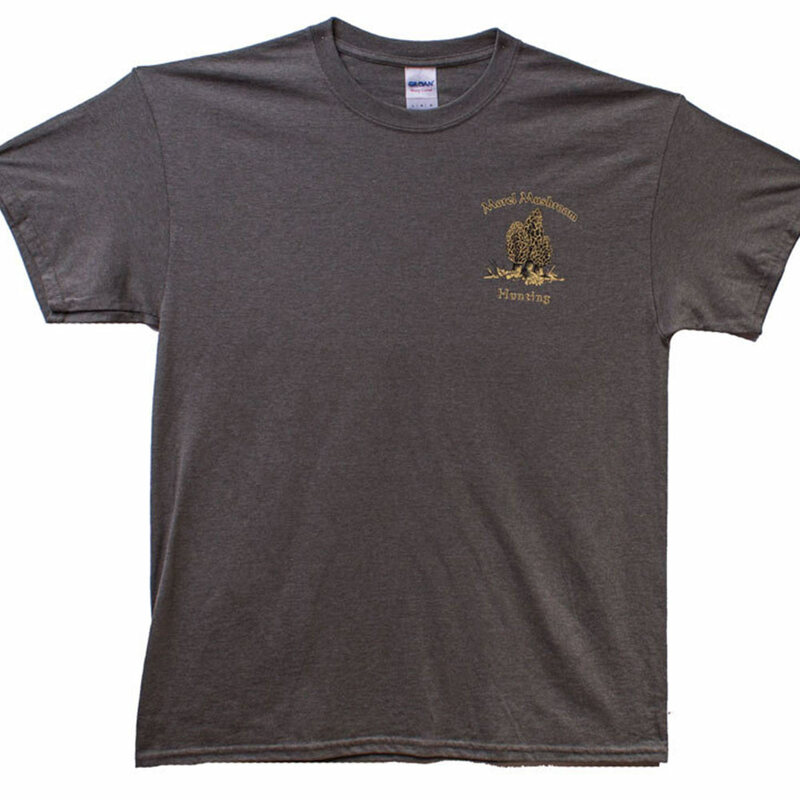 Each shirt is professionally silk screen printed. 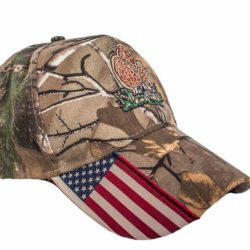 The earth tone colors we choose hide dirt well for those who loves the great outdoors, they are perfect for being in the woods, on the lake or any occasion. 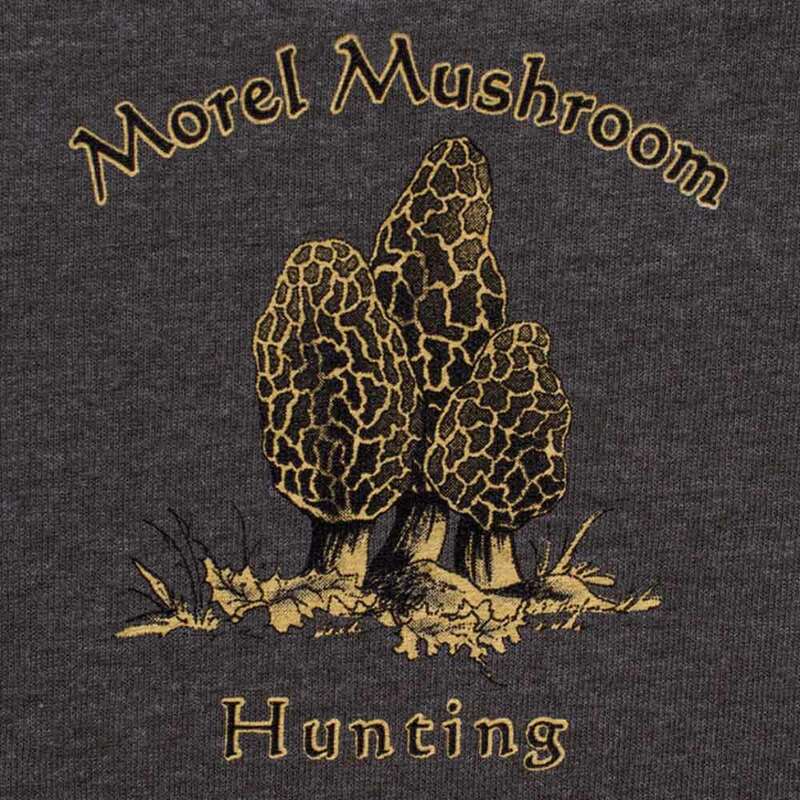 All of our morel mushroom shirts are great quality. 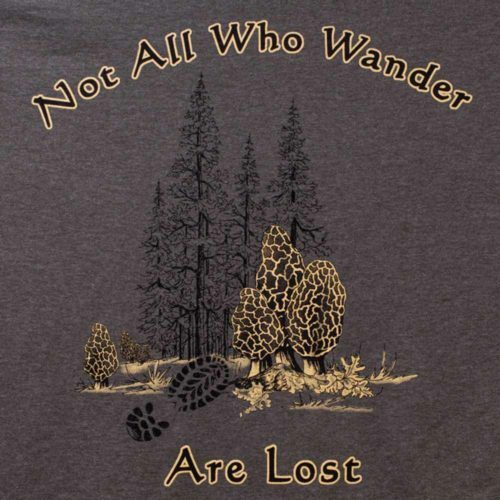 Each shirt is professionally silk screen-printed. 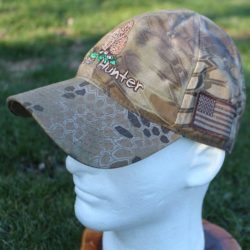 This Heather Forest is the perfect earth tone color that hides dirt well for those who love mushroom hunting, hiking, camping or any outdoor event. 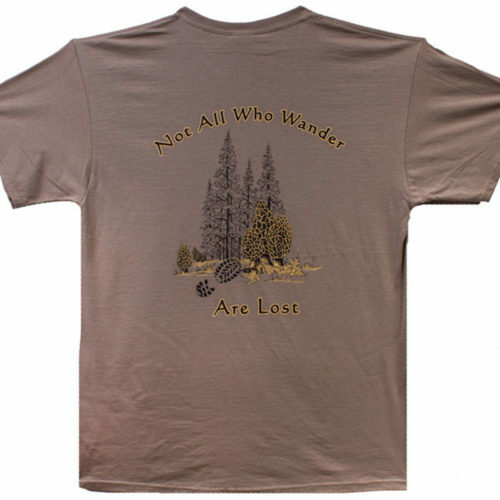 These morel mushroom shirts run true to men’s size. They are 50/50 cotton & poly, pre-shrunk. But they still shrink a bit. 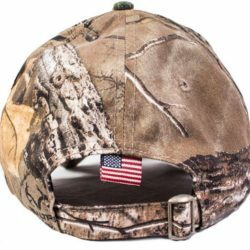 I am 6.2 tall, 200 pounds and I wear an XL. I am very grateful for him. 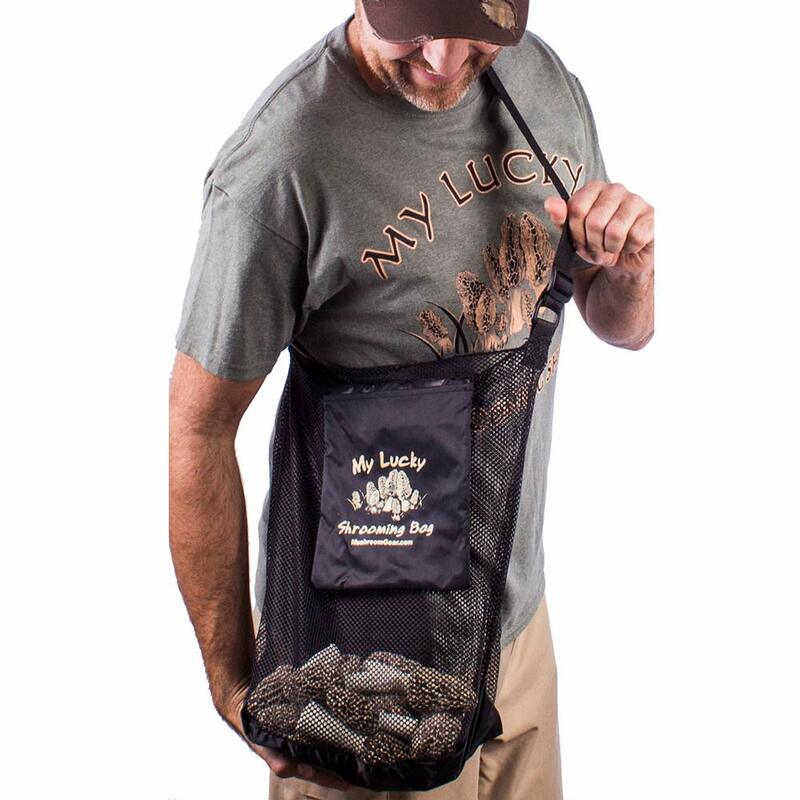 He inspired me to design and make mushroom products that we love to wear. 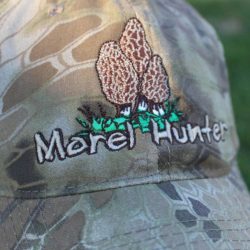 And now we offer our designs to anyone that is passionate about morel mushroom hunting like myself. 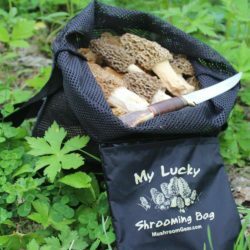 Mushroom hunting is a very addictive hobby for many folks. 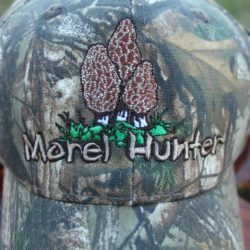 For us, morel mushroom hunting started as a hobby which turned into passion & now the word obsession is too small to describe it. We are in love with morel mushroom hunting & look forward to spring every year to harvest the elusive morel mushrooms. 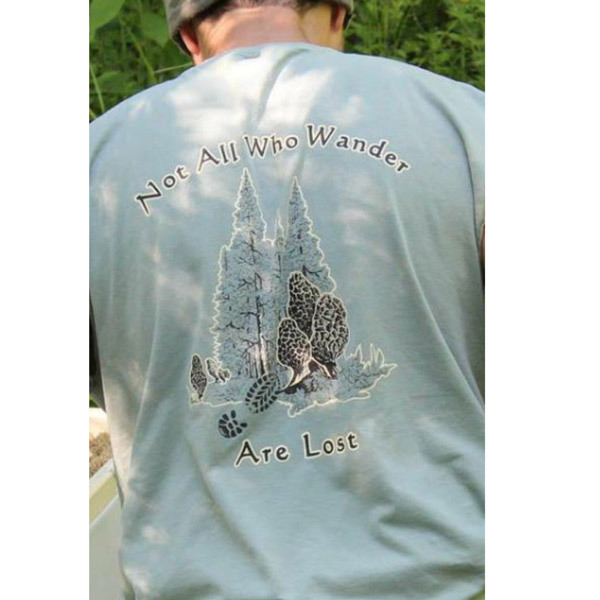 We travel from state to state picking morel mushrooms to prolong our season, covering up to 12 states. 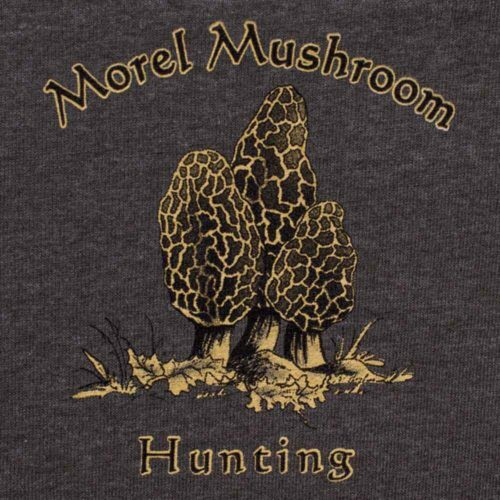 We’ve met a lot of great people through mushroom hunting and morel mushroom festivals. 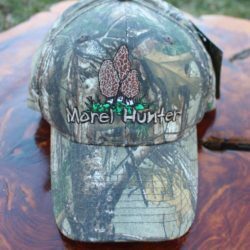 Mushroom Gear Shop has been born out of pure desire and dedication to giving our fellow mushroom hunters & nature lovers products to show off and gear to wear proudly! We are a very small, family-owned mushroom/outdoor gear company and would greatly appreciate you telling your nature-loving friends and family about us. Thank you for visiting our Mushroom Shop and Happy Shrooming!